Where to buy hydrochloric acid? Get some information about suppliers. Hydrochloric acid (HCl) is a substance known for centuries. It was discovered by the alchemist Hayyan around 800 AD. Since then, the properties of hydrochloric acid have been used in many industries. What’s more, further applications of this chemical substance are still being discovered. Hydrochloric acid can be formed in various processes. One of them is the direct synthesis of the elements – the reaction of burning chlorine in hydrogen. The next is the reaction of sulfuric acid with sodium chloride. In industry, the most common method of hydrochloric acid production is obtaining it as a by-product, e.g. in the process of chlorination of organic compounds. Depending on the production method, it is possible to obtain different types of hydrochloric acid. In the synthesis process, ultra-pure hydrochloric acid called synthetic is produced, using the first or second method. While the technical hydrochloric acid, which is contaminated with trace amounts of organic compounds, is obtained using the last of above mentioned methods. In the industry, the production of synthetic hydrochloric acid as a result of direct synthesis is carried out in stages. The first stage is the burning of chlorine in excess of hydrogen. The next step is to concentrate the hydrochloric acid to a maximum of 33-37% by absorbing HCl in a dilute hydrochloric acid solution. The last stage is the storage of acid in tanks. The hydrochloric acid obtained by this method is characterized by very high quality due to the low content of impurities. The reaction of obtaining hydrochloric acid is strong exothermic, which means that during its course, large amounts of thermal energy are released. For this reason, it is necessary to cool the installation and maintain strict safety precautions. The contractual shelf-life of hydrogen chloride is at least 5 years, but in practice it is unlimited. This is the case if the product is stored in accordance with the manufacturer’s instructions set out in the documentation. What are the properties of hydrochloric acid? Hydrochloric acid is an inorganic chemical that can exist in two forms – as a colourless gas – hydrogen chloride or as a colourless to light yellow aqueous solution of hydrogen chloride gas. The gas is highly soluble in water and therefore is released in moist air and creates vapours. It is also worth noting that hydrogen chloride gas is about 1.3 times heavier than air. This property causes the hydrogen chloride vapor to accumulate just above the ground. The most popular form of hydrochloric acid, however, is an aqueous solution of hydrogen chloride. Suppliers of hydrochloric acid sell it and transport it in liquid form with a concentration of up to 38%. Hydrochloric acid is one of the simplest anaerobic acids. It belongs to monoprotone mineral acids, but in this group, it is distinguished by its unique features. It has strong corrosive properties and is characterized by a pungent odour. Hydrogen chloride is a strong acid as it is completely dissociated in water. It has a low pH, which informs about its acidic chemical reaction. The reaction can be checked with a universal pH test paper or methyl orange. Both indicators will turn red in the presence of hydrochloric acid. In addition, hydrochloric acid has no high storage requirements and is stable over time. To preserve its quality, stability and for security reasons, it should however be stored in tightly closed packaging, in a shady, dry place, in accordance with the manufacturer’s instructions. Hydrochloric acid is neutralized by reaction with bases, the products of which are inorganic salts and water. It also reacts with metals, which is popularly called digestion. The reaction with the hydrogen chloride includes, among others, zinc, iron, magnesium and aluminium, and during this process hydrogen gas is evolved. Gold and platinum do not react with hydrochloric acid. These metals can be dissolved only in royal water (aqua regia). It is a mixture of concentrated acids: hydrochloric and nitric (V) in a volume ratio of 3: 1. Its name comes from the ability to dissolve gold, also called the “metal of kings”. In addition, hydrogen chloride gas reacts with activated metal oxides and carbonates to form chlorides. These reactions occur easily only in the presence of moisture. Completely dry hydrogen chloride is unreactive. What are the uses of hydrochloric acid? Hydrochloric acid is used in many industries, including service industries. Suppliers of hydrochloric acid offer this product in two varieties: technical and synthetic hydrochloric acid. They differ in their production, quality and concentration, but the properties and chemical composition of these products are almost the same. In many applications, the purity of hydrochloric acid is of no key importance and it is for these applications that technical hydrochloric acid is dedicated. production of pesticides, mineral fertilizers and other products dedicated to the agricultural industry. Hydrochloric acid is a strong corrosive substance. In the form of a concentrated solution is highly toxic, as it creates acid mists, which, like the solution itself, cause damage to human tissues. Respiratory organs, eyes and skin are particularly vulnerable. Exposure to 0.1% vol. hydrogen chloride gas in the atmosphere can cause death within a few minutes. Hydrochloric acid in contact with the human body causes severe burns. For this reason, when using this substance, it is necessary to use acid-resistant gloves, clothing and footwear resistant to chemicals, as well as glasses or goggles. It should also be remembered that hydrochloric acid is reactive and when mixed with oxidizing chemicals, such as potassium permanganate or sodium hypochlorite, poisonous gas – chlorine will be formed. This is particularly important when using hydrochloric acid in households in combination with other cleaning agents. The released chlorine can get into the airways and cause intoxication and loss of consciousness. Hydrochloric acid if ingested causes burns of the mouth, throat, esophagus and stomach. So how do you explain that everybody has hydrochloric acid in the stomach and is not harmful to us there, or even necessary for survival? Well, this is due to the chloride and hydrogen ions being released separately by the cells of the gastric mucosa. The resulting anions and cations then enter the stomach. The organ itself is protected from self-digestion by a thick layer of mucus which lines its walls. Hydrochloric acid acts as a barrier against bacteria and other microorganisms, protecting the body against infections. In addition, it is necessary to process the food we eat. Digestion starts with the denaturation of proteins, due to the very low pH of the environment being around 1-2. Then, the modified proteins are susceptible to degradation by digestive enzymes. The food moves into further parts of the digestive system, and the hydrochloric acid contained in it is neutralized in the duodenum with sodium bicarbonate. Who are the suppliers of hydrochloric acid? One of the suppliers of hydrochloric acid is the PCC Group, which offers hydrochloric acid for sale in two variants – synthetic and technical. These two products differ in their purity, and more precisely in the content of trace amounts of organic compounds, as well as in the concentration. Synthetic hydrochloric acid is produced in an industrial process on a synthesis installation. The method of production guarantees very high quality and purity of the product. Technical hydrochloric acid is used mainly in industries less demanding in terms of quality, such as: the production of agrochemicals, regulation of the pH of water in industrial water treatment processes or the production of industrial chemistry. It is produced as a by-product in chlorination processes of organic products. The PCC Group has several competitors on the European local market. Despite the fact that other producers of hydrochloric acid provide the product with a very similar concentrations, hydrochloric acid from the offer of the producer from Brzeg Dolny has been recognized by demanding customers as the best in terms of quality. Do you want to learn about the PCC Group hydrochloric acid offer? Click this link https://www.products.pcc.eu/en/search/?search=hydrochloric+acid and check where to buy hydrochloric acid. Where can I buy hydrochloric acid? Are you wondering where to buy hydrochloric acid? We suggest – preferably through the PCC Group, which is a producer of hydrochloric acid. With this supplier you can buy hydrochloric acid with a guarantee of the highest quality. The production takes place at the plant in Brzeg Dolny in the Chlorine Business Unit. Production installations in the PCC Group are the most modern in Europe. Thanks to the use of advanced technologies and the precise handling of the process, ready hydrochloric acid will meet the expectations of the most demanding recipients. will safely and easily bring the product to the destination. What is the price of hydrochloric acid? The price of hydrochloric acid is determined individually with each customer, based on the application and volume of the customer’s demand and the type of packaging. 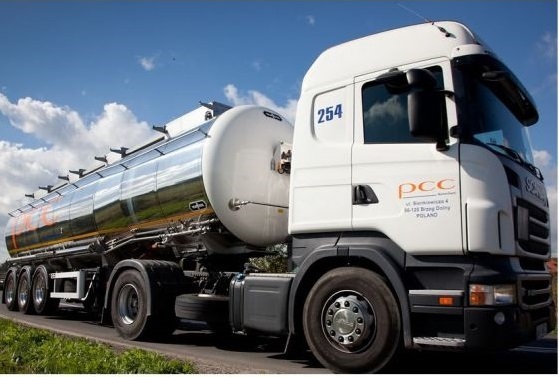 The PCC Group has a wide range of its own high-volume packaging (rail tankers, tank trucks), as well as small packaging such as pallet boxes, barrels, canisters and bottles. Thanks to this, it is possible to make wholesale and retail purchases in the PCC Group. Such an individual approach to customer needs and prices is a guarantee of long and fruitful cooperation. If you want to find out where to buy hydrochloric acid and what is the price of hydrochloric acid, just fill out a short form, call or write an email. The experts will contact you and present the offer. During the conversation you will be able to negotiate the price of hydrochloric acid and obtain information on other potential applications of this product. Choose a leader in the production of hydrochloric acid! The PCC Group – the highest standards, the best quality! What is the sale of hydrochloric acid? Tens of millions of tons of this substance is sold every year around the world. The sale of hydrochloric acid takes place on a mass scale and is mainly the result of supply, as most of the hydrochloric acid has to be produced by the producers (technical hydrochloric acid is a by-product). To balance supply with demand, producers try to balance internal production and adjust the quantity and quality of products to the needs of the market. This is mainly the case with synthetic hydrochloric acid. New consumer solutions for this chemical are also constantly sought after. Global corporations continually conduct intensive research in the direction of hydrogen chloride development and implement new technologies, such as the electrolysis of HCl, the product of which are chlorine and hydrogen. This is a beneficial solution, especially for TDI/MDI manufacturers, because it allows the chlorine balance to be closed and reuse of hydrogen and chlorine for production. The sale of hydrochloric acid takes place mainly on the local market. This is mainly due to logistical reasons, as transport costs are extremely high in relation to the price of hydrochloric acid (water solution). The European local market is currently characterized by a large supply of hydrochloric acid, and in particular the technical form of this product. Over the years, there have been temporary surpluses or shortages of this substance, but in total terms demand and supply are well balanced. See also: where to buy sodium hypochlorite and where you can buy surfactants. Real also abaut caustic soda suppliers.